MTHFR – What is it? Specialists agree; the best way to obtain the necessary vitamins and minerals is through a healthy diet. However, it is nearly impossible to obtain all the nutrients we need from diet alone. And anyone who diverges from the recommended daily intake of certain food groups is at an even greater risk for nutritional deficiencies. For example, vegetarians and vegans almost always come up short on vitamin B12. That’s why there is such a strong correlation between vegetarians, vegans and vitamin B12 injections. Vitamin B12 is one part of a larger nutrient—the B vitamin complex. Made up of seven other nutrients, the B vitamins are essential nutrients that play an important role in the body. The primary responsibility of vitamin B12 is to regulate, encourage and maintain the production of red blood cells. It also helps stabilize the nervous system, including the formation of nerve cells and overall health of the brain. Vitamin B12 is the byproduct of bacterial activity—a process that only takes place in the digestive system of animals. Therefore, the nutrient is not found in plant-based foods. B12 can be found in all animal products, including meat, fish, eggs, and milk. Therefore, it is easy to understand why vegetarians and vegans come up short. A vitamin B12 deficiency is perhaps one of the most prevalent—yet under diagnosed—deficiency in our society. There are many factors that contribute to the risk of a nutrient shortage and many different populations are susceptible. However, vegans and vegetarians are at a much higher risk than the general population. Vitamin B12 is a water-soluble vitamin. That means the body can’t retain a storehouse in the fat reserves and must be replenished regularly. Even with a slight deficiency, symptoms are noticeable—and inconvenient! If left untreated, a deficiency will inflict irreparable damage. A deficiency increases the likelihood of Alzheimer’s disease, stroke, heart attack and more. Because vegans and vegetarians don’t eat vitamin-rich animal products, they must get their B12 from a different source. There are several products on the market that are fortified with vitamin B12. These include non-dairy milks (soy, almond, coconut), nutritional yeast, and breakfast cereals. There are some downsides to relying on these fortified foods to meet the daily intake requirement. Foods that are both vegan and fortified are hard to come by. For example, many brands of nutritional yeast have adequate amounts of B12 but aren’t vegan. Also, it is challenging to eat the same food every single day—and that is what vegans must do to get enough vitamin B12. A carnivore can eat a wide variety of foods; vegans have a limited selection to choose from. Just like any other vitamin supplement, there is an oral pill option. These are available with only vitamin B12 or in conjunction with other nutrients. Some people think pills are the way to go. They seem easy and effective. However, pills must be taken every day—sometimes twice a day. It is cumbersome to remember daily doses of any medication or supplement. Plus, the body has a hard time utilizing the nutrients in an oral pill. The vitamin B12 must first be absorbed before it can be put to use. An alarming portion of the nutrient is lost during this process. For anyone hoping to supplement their nutrient levels—including vegans and vegetarians—vitamin B12 injections are the way to go. Injections are administered directly into the muscle, meaning the entire dose is utilized by the body. This ensures adequate supplementation and the most economical option on the market (the body will use 100% of what you paid for!). Plus, B12 shots usually only need to be administered every couple of weeks. That means you won’t be burdened by daily supplementation. Eating healthy is a noble goal, but those who do so by omitting certain food groups are at a higher risk for nutritional deficiencies. Fortunately, vegans and vitamin B12 injections are a perfect combination! If you are a vegetarian or vegan looking for vitamin B12 injections, check out the selection we have available. Whether you want subcutaneous, intramuscular, methylcobalamin, cyanocobalamin, or lipotropic injections—we’ve got you covered! 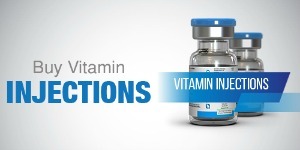 Need Vitamin B12 Injections? Don’t be Afraid of Needles! Lab Panels — Why You Need it and What Does it Tell You? What Does Vitamin B12 Do? Where Can I Buy B12 Shots? What are the Benefits of B12 Injections? What are the B12 Injection Sites?